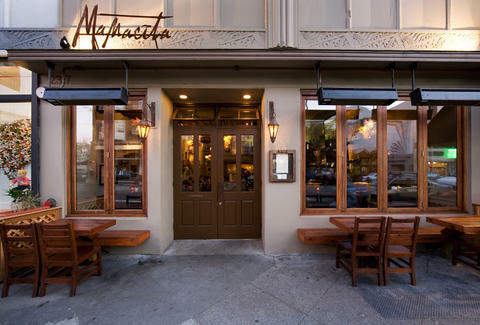 Slinging eats in the Marina that are part traditional street food, part family recipe, and part local & sustainable, Mamacita has risen to royalty-level in the Bay Area Mexican food scene, and risen to Mario-in-a-Frog-Suit-level in the Bay Area Mexican tequila scene with 60+ that run the gamut from big names to boutiques. If you look very closely, you'll see the words "scratch-made" inked on this man's arms. 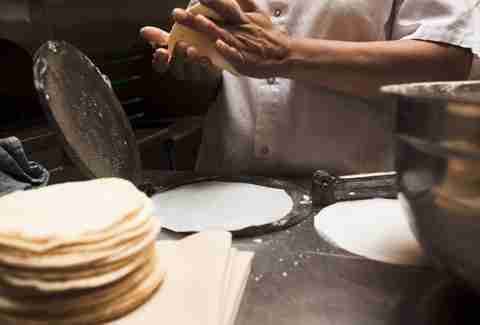 Because, um, they make everything from scratch. Plus, they've got a family farm from which they source many of their ingredients. 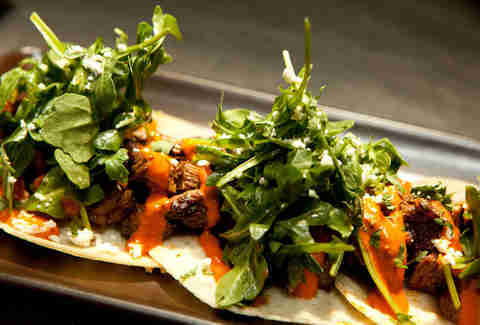 These are the Carne Asada Tacos, with Meyer skirt steak, guac, chimichurri, caramelized onions, arugula, and queso fresco. And these are the Callos de Mula. 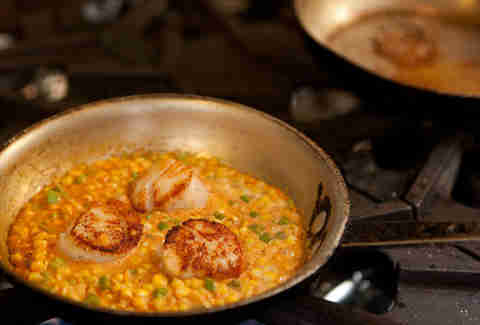 You know, Mule's Scallops.